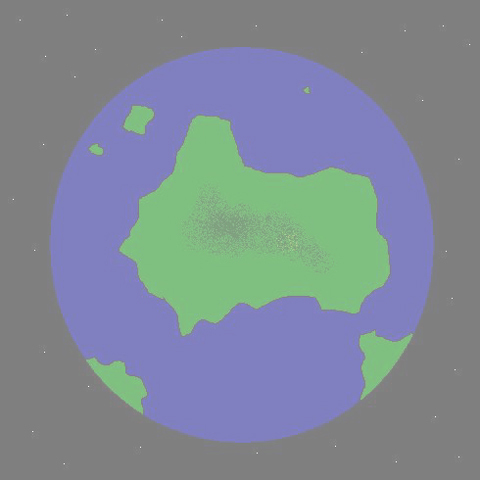 Unlike the real Earth, The DBZ earth is made up of one continent, two smaller ones and two island groups. The shape of it is our Asia, but without Japan, Korea, and little of India. To the north and south are two subcontinents about the size of Australia. The northern one, Yunzabit, is a wasteland of mountains and valleys. The southern one is tropical like south America. This makes most of DBZ earth above the equator, as it is mostly dense forest, grassy plains, and rocky desolate areas much like the American southwest. 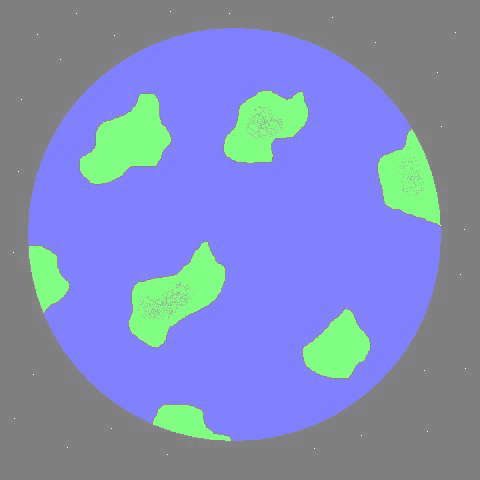 The distant home of the green-skinned reptilian Namekians. 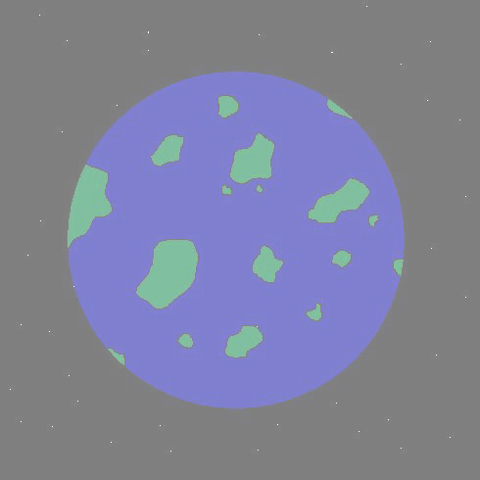 Planet Namek is a warm, pastoral water-world dotted with hundreds of islands, jutting grass-topped buttes and small continents covered in odd puffball-shaped trees. Namek's inhabitants do not, as a rule, build cities, they prefer to cluster in small villages of a few hundred people. With its low, rounded shapes and bubble windows. Villages are managed by an elder, chosen for his wisdom rather than power. Village elders gather together to discuss regional problems, but there is no centralized government. Each Namekian is born with a purpose or place in life that they try their best to fulfill. There are no armies or other large civilizations; each village has a small cadre of warriors who defend their home (and the village's single dragonball) against all enemies. The Nameks technology level is high, but they don't use it much and concentrate on spiritual aspects of life, not on material. According to legends (and the tale told in the Pendulum Room), Planet Vegeta was originally home to two hominoid species; one technological and peaceful, the other savage and warlike. The Saiyans were the latter group and, over time,, exterminated their Truffle neighbors, presumably renaming the high-gravity planet after their leaders, Vegeta and Dynasty .Bloodthirsty warriors, Saiyans are fearless in battle, even before the light of the full moon turns them into giant, energy breathing were-apes (Oozaro). And that's not counting the legendary power of the Super Saiyan, who supposedly appears every 1,000 years. 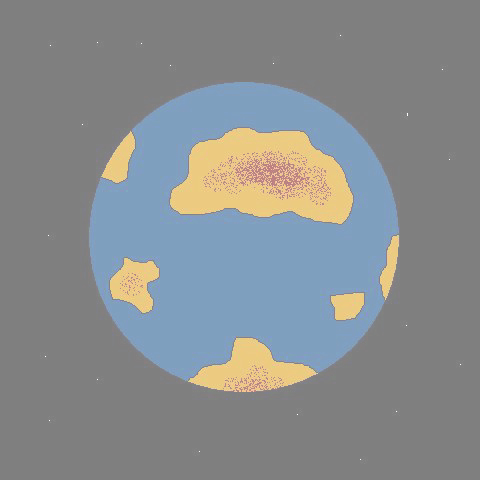 Planet Vegeta appears to have been much like our earth, with a fairly sophisticated level of technology. Truffle cities covered most of the temperate zone, with the nomadic,Hun-like Saiyans overthrow reduced much of the habitable zone to rubble and wrecked the entire planet, technology and all. This didn't bother the Saiyans much;they simply joined up with Frieza's -and became intergalactic pirates. Most Saiyan technology therefor from from the Frieza gang, instead of being homebuilt (the exception of the scouter - obsessed with measuring an opponent's fighting power, the Saiyans developed this themselves). Vegeta and Nappa stopped briefly on Arlia (as a sort of rest break), and decided to amuse themselves by interfering in the local civil war. It was hardly a good workout; the Saiyans easily overthrew the ruling tyrant, freed the good-guy leader languishing in the dungeons, and reunited him with his beautiful wife who had been forced to be the overlords consort. Of course, never one to settle for a happy ending, Vegeta subsequently annihilated Arlia with a single blast. But there's no reason to rule out the possibility that some of the Arlians (with their fairly high level of technology) couldn't have secretly escaped the region, awaiting their chance to avenge their murdered home world.